Our itinerary will be finalized over the next several weeks. We are planning to start in Helsinki, Finland. 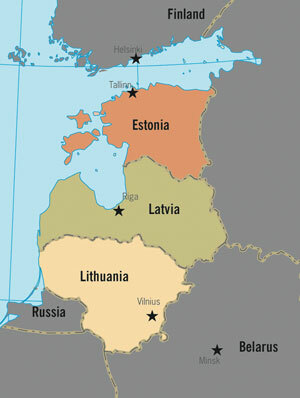 A ferry will take us to Tallinn, Estonia. 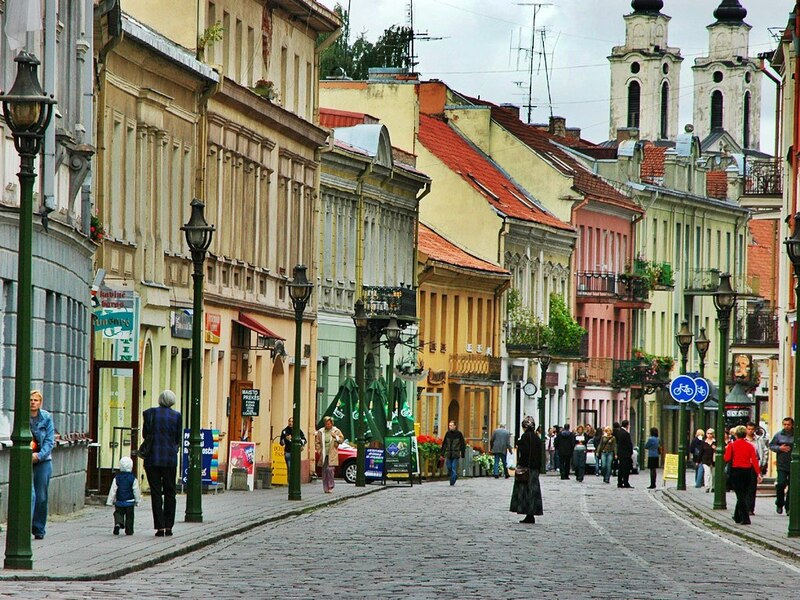 Riga, Latvia is next, and our final destination is Vilnius, Lithuania. The tour will last 12 days, with four concerts. The TENTATIVE DATES are June 26 through July 7, 2014. This may change slightly, and we should be able to confirm the dates by the end of August. Our 2011 European Tour cost $4400 per person, including chaperones. We have been able to keep our 2014 tour cost at $4400. Future information will include passports, clothing recommendations, packing ideas, instrument packing, handling currency, and more. On past tours we have successfully managed life-threatening allergies and other medical accommodations. I am happy to answer questions about any aspect of the trip. 1. Application form -This needs to be completed legibly, preferably in ink or as a Word document. 2. Confidential personal reference Forms-Two personal references are needed. At least one reference should be from your school music teacher. If you have more than one music teacher, you may request a reference from each person, or choose the one who knows you best. Family members, relatives or friends typically are not choices for completing these reference forms. delayed if these forms are not returned to us. It is suggested that you print your name on the pages and provide a stamped, addressed envelope (addressed to Dennis Burkhardt) to the person from whom you are asking the reference information. 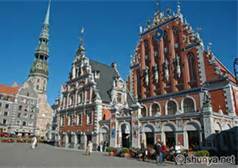 We are now accepting applications from interested individuals for being a chaperone during our CYSO 2014 tour to Finland, Estonia, Latvia and Lithuania. The tentative tour dates are June 26 through July 7, 2014. The cost for chaperones of $4400 is the same as for the student musicians. This covers airfare, ground transportation, hotels, breakfasts and dinners. Lunches are not covered. A key role for chaperones is to work with the tour staff to monitor the health and safety of the entire tour group. We typically assign light duties to the chaperones, such as assisting students with being on time for meals, concerts and loading our bus. Chaperones also assist by accompanying the large group or smaller groups to activities and events of interest such as exploring parts of the cities we will visit. We work to build in some unscheduled times, so chaperones are not always “on duty”. One of the expectations is that the chaperones function as part of the tour group and participate on the same schedule in regard to meals, excursions, concerts and other parts of the tour. Some of the skills or qualities we look for include having the physical stamina to walk medium to long distances, help load/unload luggage, flexibility and adaptability to new or changing situations, and patience. Problem-solving abilities, positive outlook and solid interpersonal skills are assets that are highly desirable. I expect that chaperones model appropriate behaviors and take responsibility to contribute to make the tour a positive event for everyone. From my experiences on the 2002, 2005, 2008 and 2011 CYSO European tours, I can say with confidence that the chaperones enjoyed the adventure. If you would like more details or have questions about any of this, please contact me at burkhardtd@comcast.net or call me at 206-542-7602. If a student or chaperone cancels by 6/30/2013, the full deposit is refunded. If for any reason the student or chaperone has made paymetns and is not accepted for the tour, 100% of the payments will be refunded. Please note: Regular and timely tour payments are imperative, as CYSO is required to make periodic payments to ACFEA. Travel insurance may also be purchased. More information on insurance will be made available later. Please contact Dennis if there are any questions about these procedures.